What do New York’s Lincoln Center, Boston’s Celebrity Series, and Washington, D.C.’s Smithsonian Institution have in common? One answer is Rob Kapilow, the energetic and talented conductor and performer behind What Makes It Great? Kapilow just celebrated 15 years of bringing the lecture and performance program to Lincoln Center and Boston, a show designed to bring new and old listeners into a more direct and authentic relation with music. Also an NPR host, Kapilow will be in Santa Barbara on Friday and Saturday, March 16 and 17, to give two performances at the Lobero Theatre. The first show will be a What Makes It Great? presentation of Mozart’s Clarinet Concerto. The show begins with Kapilow’s presentation and demonstration of the piece’s themes and structure, and then concludes with a full performance of the piece by the Santa Barbara Chamber Orchestra (SBCO) players, conducted by Kapilow. On Saturday, Kapilow will be back at the Lobero for his FamilyMusik presentation called At the Zoo (And Furthermore, They Bite! ), which features classical music that represents the character and behavior of animals. I had the chance to see Kapilow at an event set up by the SBCO to introduce him to the community, and in just a few minutes, with only a rudimentary digital keyboard, he had the entire room rapt with his explication of a work by Haydn. “To have great music, there must be great listeners,” Kapilow said. Many are called to the task of making music more accessible, but few are as chosen as Kapilow — chosen by training, by instinct, and by a powerful sense of mission in relation to what he is doing. 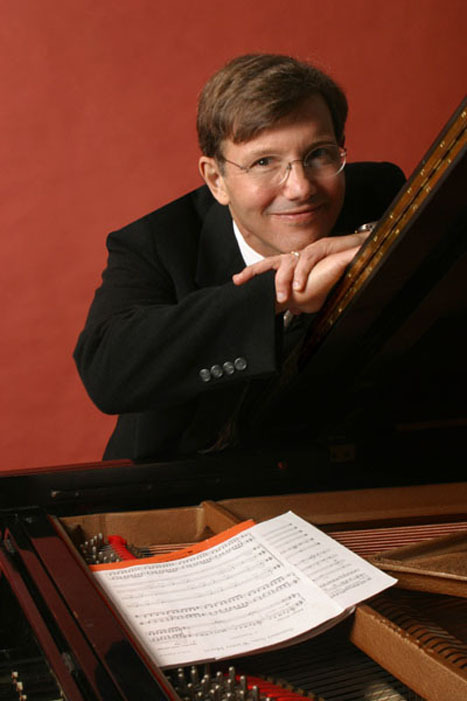 Rob Kapilow takes to the stage at the Lobero Theatre (33 E. Canon Perdido St.) on Friday, March 16, at 7:30 p.m. and Saturday, March 17, at 4:30 p.m. For info, call (805) 963-0761 or visit lobero.com.